Capital Auto Sales is committed to excellence – but we are also always looking for ways to improve. Let us know how well we hit our mark of perfection by rating us below. We appreciate you taking the time! It was a great experience. Good customer service, inviting environment. Lots of inventory with no pressure to buy. Bought a beautiful F150 and couldn't be more satisfied. 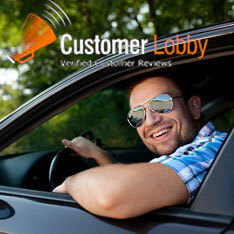 The capital Auto sales team,helped me buy a car!the car is in good condition,and they follow up with you to make sure everything is fine,my concerns were well taken care off.i am happy with the car.Their teamwork is cool! Needed a truck last minute to haul aid to the Carolinas after Hurricane Francine. Floyd made it a painless process. Nice selection. I had the most amazing experience at Capital Auto Sales. Floyd was very helpful and very detailed oriented. After spending less than two hours at the dealership I went home with a new vehicle. I will definitely be back in the near future.